How to Make Your App More Likable for Users? App Builder Appy Pie, April 10, 2018: Mobile apps might have been here for a comparatively short time but have flooded the market quite quickly. The app you are planning to build with great effort and research might not be something that many users would like. The mobile apps today are competing with each other in a furious fashion to find their place at the top of the list of popular apps. Your app might be the best thing that can happen in the world of mobile apps, but are you sure that the users you are targeting are going to like using it? The app you are building is for a certain audience, and if you cannot make a mark in their memories, your purpose would be grossly defeated turning your app into a failure. How Can You Measure Likability? Measuring likeability is as tough as defining it. There are a lot of traditional and new age metrics that can be employed to measure the likeability of your app. Brand Mentions, Satisfaction Scores, and other traditional metrics in combination with new-age metrics including social media mentions, followers, email subscriptions, referrals, & NPS. The users are talking about you. There are a number of different ways that can be employed to measure the points mentioned above, and each of them have different levels of correlation with different goals including revenue, retention, & more. The degree of benefits may vary, but all the above-mentioned points are signs that you are doing good. Isn’t that something every app owner or aspirant want to know? Every app owner would like to see their app being liked by their users and for that to happen, it has to be engaging, useful, prompt, and shareable. It might seem to be quite a daunting task to begin with, but Appy Pie has compiled a list of ingredients or points that can help you make your app score higher on the likability scale! Simplicity is one of the toughest things to achieve, yet it is most highly coveted as well. This is true even when you are building your app. Quite interestingly making your app simple is what adds a certain sophistication to it. If you have been laying too much stress on the workload of your app, chances are, you are making the entire app way too complicated for your target user to understand and to use. It is only natural that, if your user does not understand it, they are probably not going to use it either. Isn’t it simpler to go ‘simple’ then? It is imperative that you keep the basic functioning of your app super simple, so that it is easy to use for the users and they do not have to struggle as they try to accomplish its primary function. In doing so, it is important that you stay away from the temptation of cramming up too many things in too little a space. The app should not become cluttered, because that will take the users’ focus away, sometimes pulling them away and would lead them to abandon it entirely. The easier it is to interact with, and handle the app, the higher is its accessibility for the users. No one would like to struggle to use any kind of product, and when it comes to an app there are literally millions of options to explore. Hence, it is incredibly important to come up with an app that is easy to use. Though the information & usability may be complicated in nature, but the app itself needs to be as easy to handle as possible, putting it higher up on the likability index. The app needs to be quite clear from the very beginning. If your app needs you to spell out instructions, you are probably offering them an app that is way too complicated to be used with any level of enjoyment or ease. The user might download your app in order to fulfill a certain need or solve a problem but might lose interest soon. 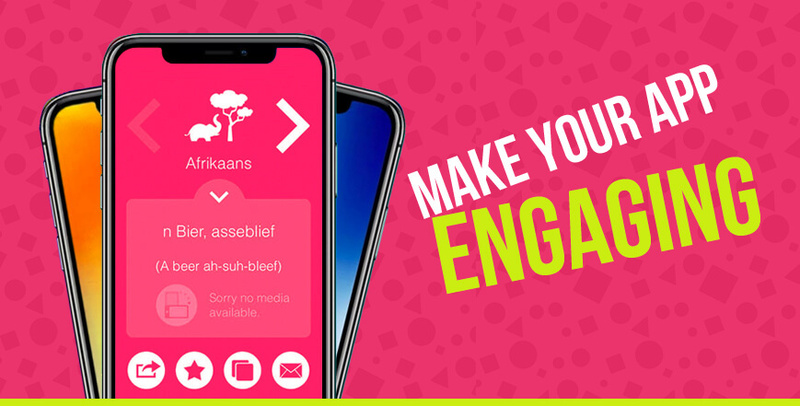 Every product is designed for a particular target audience and when you want that audience or targeted user group to be engaged in your product, you quite simply have to make your product engaging. This is true for the app you are building as well. You have to make sure that the app has the ability to engage the audience you are targeting. If the first experience you share with someone is dull and disengaged, you are probably not going to go back to them in a hurry, it is quite similar when it comes to an app. If an experience with a person wasn’t engaging, that person was probably not likable either, similarly when an app is unable to engage the user, it is definitely not going to rank much high on the likability scale. Your app would be competing with millions of apps, and these apps are going to be highly interactive and engaging. In order to compete with these apps, it is important that your app engages and interests the users and does not bore them up. It must establish a deep connection with the user. In order to determine whether your app is engaging or not, you must measure out all the possibilities based on the nature of the app. Any app that is built in such a way that it can only be accessed by a select few, would only be able to create a negative buzz. The negativity or any negative publicity has a way of spreading far and spreading fast and as an app developer or owner, you must not underestimate the harm it may bring. If the app is not available for everyone to use, it is going to witness a steep fall from grace. Similarly, if your app were to go through a function failure and you haven’t released an update for the newer version of the mobile devices or operating systems, you are going to have to pay heavily for it. If your app cannot be accessed by the target users, they are not going to be able to download it or use it. If the users are unable to download it, the app is certainly not going to be able to feature on the list of likable apps. Make sure that the app is accessible if you plan to make your app likable. The first impressions are possibly the deepest and looks or aesthetics play an important part in creating this first impression. In this era, where there are hundreds of thousands of apps in each category, if the app does not look appealing enough, users are not going to spare any time looking through it. If you make your app look professional as well as visually appealing, the chances of more buyers ending up on your app and keeping your app on their devices are higher. Earlier we talked about keeping it simple and you must keep your app simple, but that doesn’t mean you have to compromise on the design front. Simple can be beautiful, more so than a cluttered design. Invest some time and other resources in designing a memorable icon, pay attention to the color theme you choose, and the overall design of the app so that the users pay attention to your app and so that the app becomes more likable. It is a good idea to take a deep look at some of the most successful apps around you and get inspired by their approach to design. The design too is going to be a dynamic aspect of your app, as even the icons are changed from time to time in order to keep abreast of the latest design trends and stay relevant. When your app solves a problem, it is definitely going to have a special place in the minds of the app owners. Ask whether the users need this kind of problem solving. Ask whether the users would seek out an app like yours. State to your users what problem you are going to address, and how would your app solve this problem. As an example, if a user needs to find a cab home, then a taxi booking app is going to solve their problem of getting back home. These taxi-booking apps like Uber have a properly defined problem that they are solving. Most of the mobile device users would like to use an app to find a cab to get back home, instead of finding a website or making a call. They would look for an app that solves their problem efficiently and promptly would definitely be more likable. If your app becomes something that the users are turning to everyday, then it becomes an integral part of their daily routine, promptly turning into something that they need to function successfully through the day. Any app that can be used on a daily basis quickly becomes totally irreplaceable at least for some time. As a developer, consider it your aim and intent to create an app that is instrumental in the progress of their day. The app should be designed to solve a long-term problem instead of something that is going to solve a short-term problem. As an app developer who is looking forward to making their app likable among their user base, it is important to pay attention to the smaller details and add the right mix of effects including animations, sound effects, transitions etc. 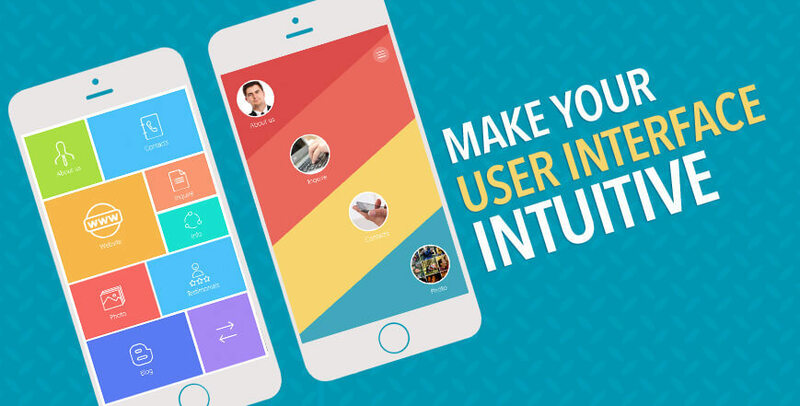 to make the user interface interesting and user experience enjoyable. One of the most basic things is to create a layout which would make the content suitable for the size of the screen so that the users do not have to keep zooming in or out to make sense of the app content. Also, the user interface should take into account the size of an average finger to make sure that tapping on features is convenient. If the app doesn’t load with good speed, the users are not going to like using it and may even reject it entirely. Heavy apps load slowly, sometimes because the device specifications are not robust enough for them, which leads to app crashes. If your mobile app is offering an unoptimized and painfully slow experience, you are definitely going to lose out on a big chunk of your users. The most interesting thing here is that even if you are not offering a whole lot of features as compared to the competitors but are offering an optimized experience that is lag free, your app is going to be a lot more likable than others. Find that sweet spot of balance between the quality and performance of the app that will help you offer a high-performance app that does not compromise much on quality. Making a free app might be a strategic step that you took, taking into consideration a number of criteria, but you do need to make some money from it. To make this money, you would have to allow some intrusive ads somewhere on the screen. Even Facebook shows ads, but thankfully you can hide them, else they might become more than annoyance. If pop-ups, banners or any other promotional material come up everywhere then you are going to distract the users and may even lead them out of the app. Make sure that even if you are building a free app, you do not fill it with ads. This is an age of social media and it has turned into a powerful tool that can be used to promote your product and doesn’t require heavy investment either. When you integrate social media with the mobile app you become a part of a healthy competitive environment. Remember to add a convenient share option so that the users can easily share their experience with their friends and family on all social media channels. The promotion might be comparatively light on the pocket, but integrating social media with your mobile app would require you to invest a hefty amount to develop a secure encryption for the app. Once you have taken care of all the above-mentioned points it is time you reach out to the masses with your app. Though there are a number of different ways to make the app known to people, but you would need to focus on ways that would make your app likable. Approach your target users, encourage them to provide a feedback and record them. Gathering and analyzing the feedback from users is one of the most crucial aspects and you should never think about launching your app on the app stores. Genuine feedback from the target user group is instrumental in determining the future performance of the app in the real market scenario. It can give you insight into the shortcomings of the app so that you can improve the app and make it ready for the market. There are a great number of ways to make your app likable and this list is not exhaustive. There are a number of different ways like rolling out app updates, advertising new features, giving out freebies, and many such other ways. It is important that you pick and choose the ways that suit you the best when you want to increase the likability of the app amidst millions of other apps in the market.